Robert H. Friedman is a skilled and experienced corporate lawyer with broad experience representing public and private companies, private equity funds and hedge funds in transactional and compliance matters. 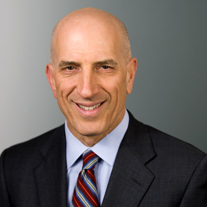 Bob Friedman is a member of the Olshan Executive Committee, is Co-Chair of the firm’s Corporate Group, and has been a partner at Olshan since 1992. For over 30 years, Bob has advised public and private companies and their boards, private equity firms, hedge funds and investment banks in a broad range of domestic and cross-border merger and acquisition transactions, debt financings, equity financings, restructurings and other strategic transactions. Also as part of his practice, Bob serves as outside corporate counsel to both private and public companies, providing advice and counsel with respect to matters of securities law, financings, acquisition transactions, other strategic transactions, compliance issues and general commercial matters. Prior to joining Olshan Bob was associated with Cahill Gordon & Reindel. He earned his undergraduate degree from Rutgers University and his law degree from Rutgers Law School, where he was Research Editor of the Rutgers Law Review.